(SEPT. 13, 2018) LAREDO, TEXAS - The Laredo Women's Forum held its quarterly event on Tuesday, September 11 at IBC Bank's Annex Ballroom. The goal of the forum was to educate and engage local women by sharing information about local candidates and issues facing the community in the upcoming elections. Over 125 women attended the panel discussion to learn more about civic engagement and the importance of political participation. Panelists were former Bexar County Sheriff Susan Pamerleau, former state Sen. Leticia Van de Putte and Texas A&M International University Regents Professor Dr. Jerry D. Thompson. They discussed the importance of women's participation in politics, particularly in a time when voter participation has been low. In 2017, voter turnout was down across Texas, with less than 6 percent of the state's 15 million registered voters casting ballots in the November constitutional election. IBC Bank Senior Vice President Eddie Aldrete moderated the panel. "IBC Bank acknowledges and celebrates the important role that women play in their families, the community and in business," said Dalia Martinez, IBC Bank executive vice president and founding member of the Laredo Women's Forum. "It is important for women to play an active role in politics to effect positive change in our community. It is critical that our voices be heard." 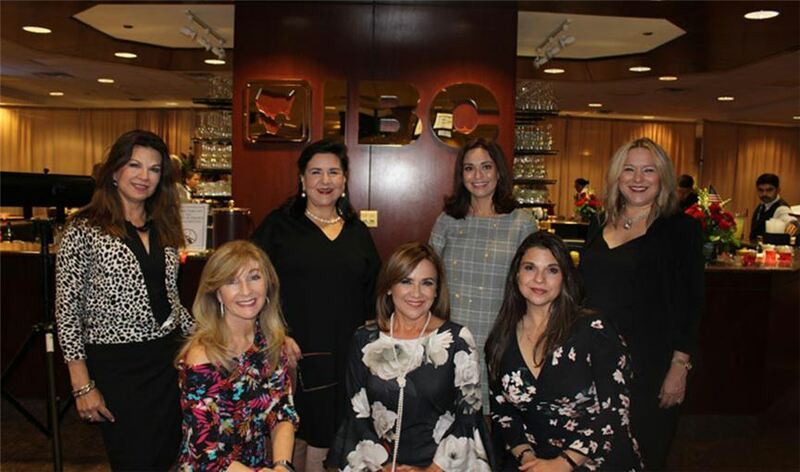 IBC Bank Officers Dalia Martinez and Margarita Flores were the driving force behind the creation of the forum, whose mission is to connect and empower women leaders in order to enrich local businesses and the Laredo community. IBC Bank acknowledges the significant difference that an engaged and active society can make, and encourages everyone in the community to register to vote and have their voice heard. The quarterly women's forum events were designed to offer local businesswomen and community leaders the opportunity to network, exchange ideas and foster relations with key stakeholders. Topics focus on issues that affect the business climate for women locally, regionally and nationally.